In a previous post, I explained four reasons why, in my opinion, Intacct offers such a great fit for companies that develop and deliver software as a service. With nearly 25 years of helping clients select and maintain financial software solutions, I understand the importance of connecting a company’s unique needs and qualities with technology to improve the overall health of the company. With that in mind, I want to share four more reasons why I stand behind Intacct for SaaS companies. 1. SaaS companies often need project accounting features such as budgeting, task management, project profitability statements, labor tracking, and capitalization of completed projects. Intacct offers robust project accounting capabilities, including the ability to see the true costs of past projects to help make smarter project bids, online access to real-time information relating to resources and invoices, and role specific reports and dashboards to provide the right information to the right people at the right time. 2. Intacct integrates extremely well with the mother of all SaaS – Salesforce. I cannot say enough good things about this integration. Intacct describes it as “the power couple,” and I agree. By taking advantage of this relationship, Intacct users get a full view of every customer, a streamlined quote to cash process, and more productive communication between the department that makes the numbers and the department that manages the numbers. 3. SaaS companies require accurate recurring billing capabilities. Intacct’s excellent recurring billing functionality allows users to automate and streamline the process while gaining real-time visibility into key financial and business metrics. 4. Project-based travel expense compliance and reimbursement can be convoluted and time-consuming for SaaS companies. However, projects, customers, users, expense categories, custom fields, classes, departments, and locations automatically sync thanks to Intacct’s seamless integration with Nexonia. It even streamlines corporate policy and approval policies! After collecting those expenses in Nexonia, choose either to reimburse employees directly from Intacct or make those reimbursements through AmeriFlex Workforce and Workforce Go! Accurate and real-time visibility are key for SaaS companies. In my experience, SaaS companies that rely on Intacct have the most control over their financial predictability and resources as well as the information needed to enhance management decision making for positive growth. 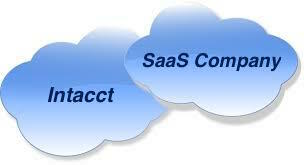 Contact us for a consultation to determine if Intacct is the right fit for your SaaS business.